Undeniably one of the most talented golfers in the world, Jon Rahm had a mildly disappointing full second season on the PGA Tour. His first two events of the 2017-18 season included a runner-up at the Sentry Tournament of Champions followed by a victory at the CareerBuilder Challenge, but from there he had just three top 10s in 17 events, slowly tumbling down the top 10 in the World Rankings in the process. Regardless of how Rahm feels about those results, one thing that cannot be debated: Rahm is finishing 2018 as a champion. 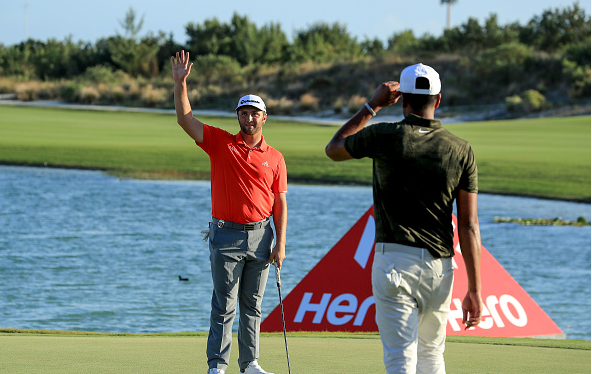 The 24-year-old Spanish prodigy shot a 7-under 65 on the final day of the Hero World Challenge in The Bahamas, reaching 20-under for the week and winning by four strokes over perennial bridesmaid Tony Finau. The victory at the tournament hosted by Tiger Woods comes just months after Rahm defeated Woods in Sunday Singles at the Ryder Cup, a key victory for the winning European team in a match that Rahm himself called the most important moment of his career. 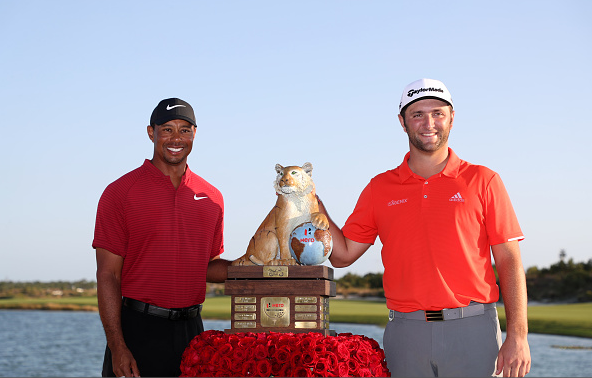 Rahm’s triumph marks the fifth consecutive year that the Hero World Challenge was decided by multiple strokes. Aside from Finau, the only other players in the 18-man field to factor into the final day of professional golf’s 2018 calendar year were Justin Rose, who finished five strokes back, and Henrik Stenson, who left Albany six strokes out of the lead. Professional golf now takes a break until the first week of January, when Rahm joins roughly 30 other 2018 PGA Champions in Hawaii for the annual Sentry Tournament of Champions. On yet another gorgeous day at Albany Golf Course, the fourth round began with a three-way tie for the lead between Rahm, Finau, and Stenson. Over the 18 Sunday holes, Rahm would hold the solo-lead for most of them, and his bogey-free round made it a convincing margin at the end. With a birdie on the second hole, followed by another on the third, Finau briefly held the lead alone, but that solo lead would be short-lived as he bogeyed the par-4 fourth hole to fall back into a tie with Rahm. Finau and Rahm both added birdies on 6 and 7, but a bogey from Finau on 8 gave Rahm a lead he would never relinquish. At the turn, Rahm led by two. Birdies from Rahm on 14 and 15, combined with an untimely double-bogey from Finau on 14 put Rahm five up with three holes to go. Finishing with three straight pars, Rahm finished four ahead of Finau, the second year in a row that the Hero World Challenge was decided by four strokes. The Hero World Challenge is not an official PGA Tour event, but it does count as an Official World Golf Rankings tournament, and as such, it marked the fourth time in 2018 that Finau finished an event runner-up. In that 11-month span, Finau has 11 top-10 finishes without a victory. His lone career win was at the 2016 Puerto Rico Open, an opposite-field event. Rahm will finish the 2018 calendar year with three worldwide victories, the second year in a row that he’s hit that mark. In addition to this win, and his triumph in last January’s CareerBuilder Challenge, Rahm also finished atop the leaderboard at the European Tour’s Spanish Open back in mid-April. After that CareerBuilder win, Rahm reached a career-high 2nd in the Official World Golf Rankings, but hit a bit of a funk after, and was only relevant in a handful of PGA Tour events. He was much better in the limited appearances he made on the European Tour, scoring the aforementioned victory in Spain, while adding three additional top 5s in Rolex events: Irish Open (4), Dubai (4), and France (5). For season’s four majors, Rahm was either hot or cold – bookending 4th-place finishes at the Masters and PGA Championship, between back-to-back missed cuts at the two national Opens. Rahm had a proclivity for being exceptionally emotional during tournaments, which at different times both helped and hurt him, but by year’s end, he seemed to do much better at staying composed for 72 holes a week. Now, having finished the year strong, between his win in the Bahamas and his strong week at the Ryder Cup, Rahm should be brimming with confidence heading into 2019. As a tournament featuring 15 of the top-20 ranked players in the world, the Hero rewarded a hefty 48 OWGR points to the winner – double what Charles Howell received for winning the full-field RSM Classic two weeks ago, and about on par with a top-tier PGA Tour event such as the Honda. Rahm is expected to jump from 8th to 6th in the final world rankings of 2018. 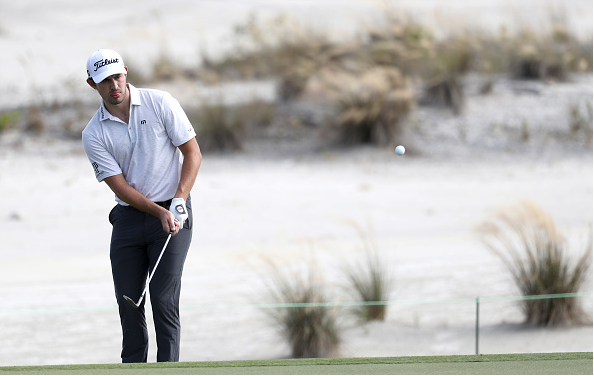 Given the circumstances, Rahm’s 65 was Sunday’s best round, but it was not the lowest round in the 18-man field; that round came from Patrick Cantlay, whose 8-under 64 included eight birdies and an eagle. Cantlay, who was the opening round co-leader after a 65, had fallen far down the leaderboard after a shockingly-poor third round 76, but his stellar form on Sunday jumped him from 12th to 5th on the final leaderboard. Matching Rahm’s 65 was Rose, who added yet another high finish to an unbelievable 2018. Finishing solo-third at Albany, Rose, who at World No. 2 was the highest ranked player in the field, now has seven consecutive finishes worldwide inside the top 8 – with six of those inside the top 3. Rose also won the PGA Tour’s year-long FedExCup Championship. Aside from Cantlay and Rose, the only other player in the field to move up multiple spots on the Sunday leaderboard was Bryson DeChambeau, a man who had won three of his last five events coming into the week. In his first attempt at Tiger’s event, DeChambeau had a pedestrian week by his standards with rounds of 70-71-71 on the first three days, but he was better in the finale, carding six birdies in a 4-under 68 to finish T12 for the week. One of the players who tied DeChambeau for 12th was Justin Thomas, who shot four-straight rounds of 2-under 70. 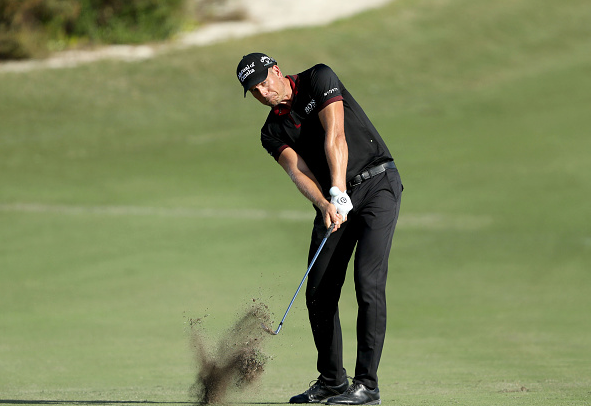 Stenson seemed to finally shake off the rust of a recent elbow injury, reaching the co-lead over 54 holes, but his Sunday left him well behind his competitors. 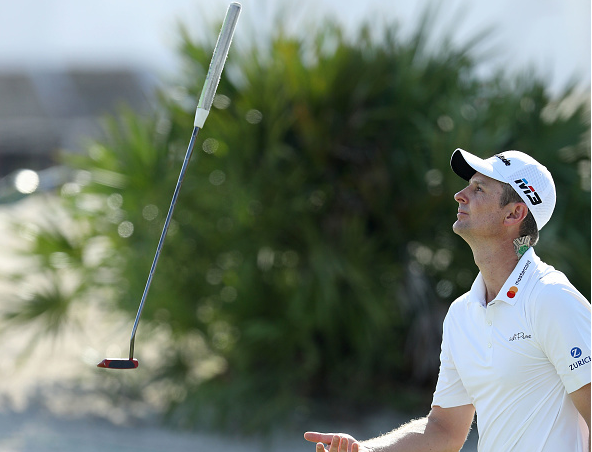 The 42-year-old from Sweden, who has twice finished runner-up in this event, largely cancelled out four birdies with three bogeys, shooting a 1-under 71 and finishing in solo-fourth. 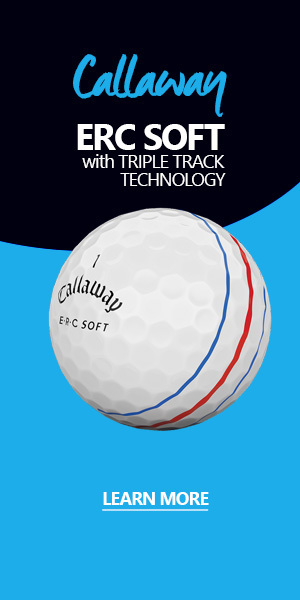 Gary Woodland has been red-hot since the new season started, with three top-10s in four events coming into the week. However, an even-par 72 in the opening round left him with a big hole to climb, and on Sunday, he matched that Thursday 72, stumbling with three bogeys and a double. Still, Woodland posted a T8 for the week to secure his fourth top-10 finish in his five most recent starts. Sunday’s worst round came from a former event champion, Hideki Matsuyama. The 2016 Hero winner imploded on the back nine with a triple-bogey on 10 and a double on 16 to shoot a disappointing 3-over 75. The young star from Japan had been struggling coming into the week, and that continued as he finished dead-last in the Hero field. 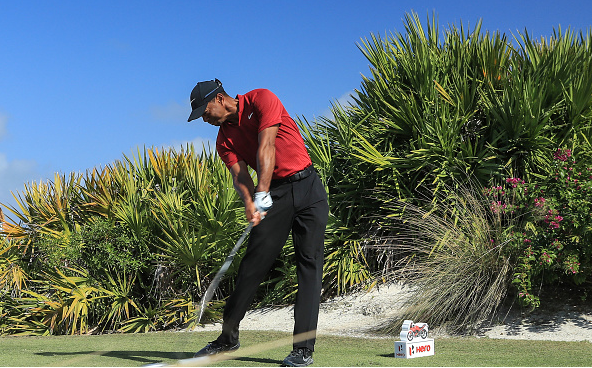 Tiger Woods was the tournament host and a five-time Hero champion, making him among the favorites coming into the week. Hoping to finish his 2018 on a high note, Tiger was a non-factor at Albany. He was in last place through 54 holes, and despite four birdies over a five-hole stretch on the back nine, he shot a mediocre 1-over 72 to finish 17th in the 18-man field. With a win, he could have snuck back into the top 10 of the world rankings, but his finish this week actually dropped him from 13th to 14th. The 2018 year was undoubtedly an enormous success for Tiger, but over the past few months, he has looked like a man looking forward to a break. He is expected to scale back his schedule in the coming year. Brooks Koepka was not in the field this week, but he was happy with Sunday’s results. Koepka, who was recently named the 2018 PGA Tour Player of the Year, was No. 1 in the World Rankings coming into the week, but was briefly projected to lose that position when Justin Rose’s hot fourth round had him in a tie for 2nd late. Fortunately for Koepka, a clutch 10-foot birdie putt by Finau on the final hole meant Finau was the solo runner-up, and Koepka will stay atop the world rankings for the remainder of 2018.